Cloud technologies are an essential tool to increase software delivery performance. 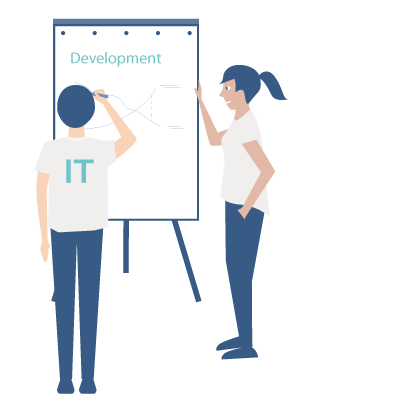 They bring the necessary automation and scalability that enables developers to spin up instances within minutes, get their applications up and running and implement CI/CD routines to develop software faster and close to customer requirements. However, the State of DevOps Report 2018 found that it’s not enough to just use cloud computing technologies, it matters how you use them. “Companies that leverage all of the essential cloud characteristics are 23 times more likely to be elite performers” – a group of development teams that delivers software at the highest levels. 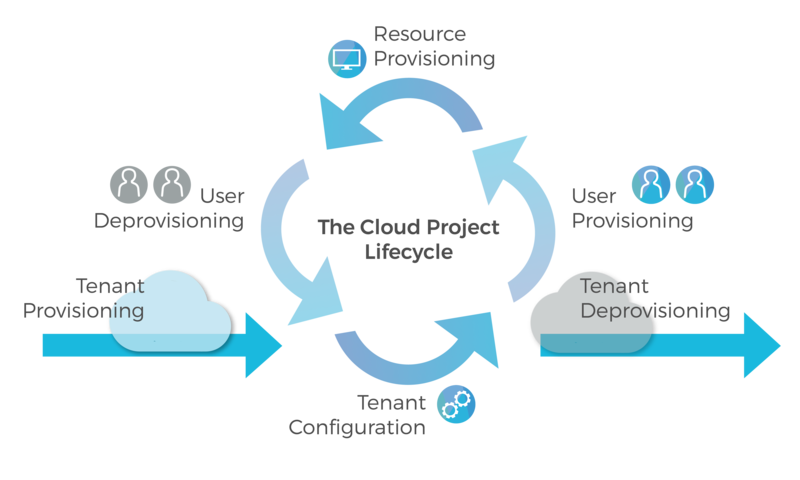 In this context, we want to introduce the concept of the cloud project lifecycle to illustrate the stages a cloud project traverses, how this impacts your organization and what you need to do to leverage your cloud to the fullest. Let’s consider the following situation: Within the next 3 years you aim to migrate several thousand projects to the cloud. As you run a large variety of applications, you have decided to use more than one cloud platform, you have a multi-cloud strategy. Each of those projects will run through a lifecycle from its creation to its deletion. The way you design every activity within the lifecycle will have a significant effect on the efficiency of your cloud transformation. This is what you will need to get started. Depending on the cloud platforms you work with, this activity corresponds to creating a cloud account in AWS, creating a namespace in Kubernetes or a space in Cloud Foundry. Each tenant can be configured individually. Configuration can include setting up Single-Sign-On (SSO) integration, quota setting, security policy definition or VPN setups. Different platforms may offer different capabilities here. Once your tenant is up and running you can invite users to start working in the platform. This includes managing their authorization and permissions. With a user account in the cloud, developers can start to spin up resources and deploy applications. Resource usage will be metered and checked against the configured policies. Data has to be managed according to the corresponding laws (GDPR). Employees change roles or leave companies. When they do, their access to the cloud has to be retreived as well. At some point a cloud account may have to be torn down, retreiving authorization and deleting resources. If you are facing a large cloud transformation process, you won’t go through these activities only once or twice, you are operating at scale. There may be thousands of projects about to be migrated to the cloud. Tenants have to be re-configured continuously, users come and go and resources are provisioned multiple times per day. A lack of automation and standardized processes will result in immense inefficiencies, putting your cloud investments at risk. Just having cloud platforms available doesn’t do the job. You’ll need to integrate them into your organization and adapt your processes to the cloud-native way – a high level of automation to accelerate workflows and ensure consistency, self-service for developers to avoid dependencies and resulting bottlenecks and transparency to provide the necessary control on your systems. 1.) How long does this take in my environment? 2.) How many people are involved? If the answer is anything else than “less than a minute” and “max one person”, there is still some room for improvement. Cloud management portals can be a means to help you manage administrative processes. meshcloud offers a cloud management portal to unify organizational processes across different cloud technologies. Thereby the platform helps large companies to leverage their move to the cloud by significantly reducing the complexity of heterogeneous IT environments. It provides a self-service-portal that facilitates configuration, user on- and offboarding and resource provisioning across clouds. Having this in place, introducing new technologies becomes a walk in the park. Find more information here.